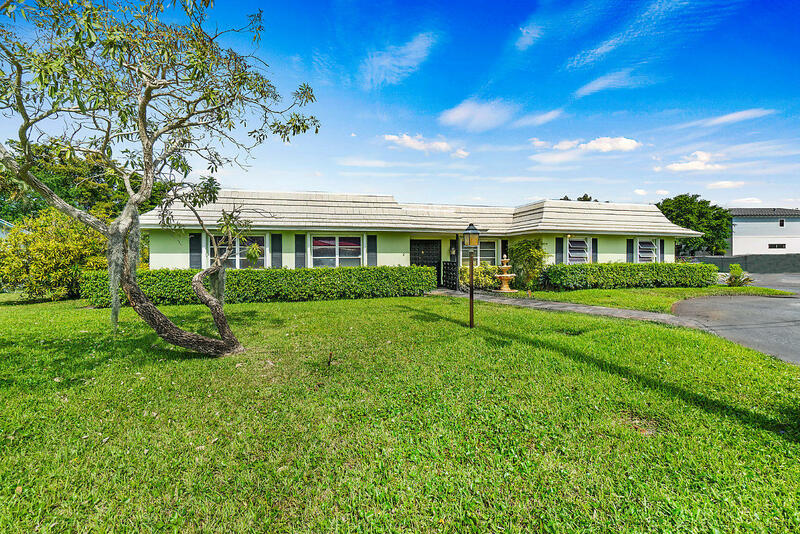 All Lake Heights homes currently listed for sale in Delray Beach as of 04/21/2019 are shown below. You can change the search criteria at any time by pressing the 'Change Search' button below. "AMAZING LOCATION CORNER LOT HOME IN DESIRABLE DELRAY BEACH MILLION PLUS DOLLAR NEIGHBORHOOD!!! Beautiful landscaping, an eye-catching curb appeal, and a tremendous driveway are just the prelude to this gorgeous Home in the best corner of Swinton and Coconut in Delray Beach!! Walk into this beauty featuring tile floors throughout and crown molding in all living areas! Separate rooms but still an open concept leads you swiftly throughout the spaces including a classic dining room, an extra spacious living room, a family room that connects to the RECENTLY RENOVATED KITCHEN that features granite countertops, large wood cabinets, and NEWER APPLIANCES! Steps from the kitchen and family room, sliding doors lead you to the large screened porch where you can enjoy a view of the garden and the"